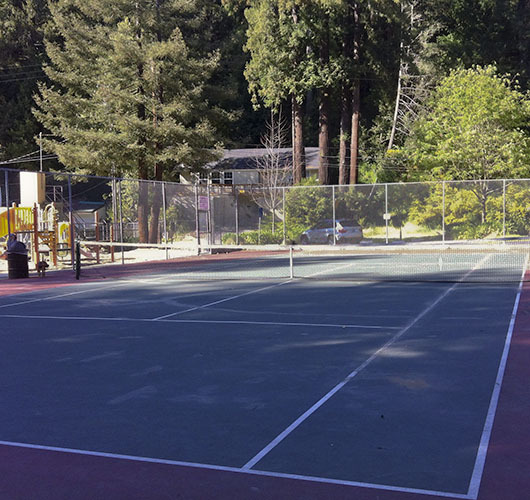 Henry N. Pacheco Memorial Playground offers newly resurfaced tennis courts, a small playground, and a single basketball hoop. The tennis courts are frequently vacant and waiting should be limited. This lovely 1.2 acres location at 14100 Old Cazadero Road sits among the redwood trees.